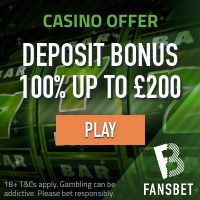 NetEnt have guaranteed your treat search this Halloween, as their latest slot release is bound to pay out for everyone willing to brave through it. A dark and misty cemetery is used as the backdrop of the Halloween Jack™ slot game keeping you entertained across all PC and mobile devices from the 24th of October 2018! Halloween Jack™ only begins to describe an immersive theme emphasized by sound effects that gradually increase the tension. Along with it are skeletons, ravens and even thunder animations to further bring in the Halloween spirit. Nevertheless, it is the symbols on the slot’s 5-reel 3-row grid which make spinners the jolliest, with regular ones distinguishing between low and high value. The former are represented by spooky playing card symbols 10, J, Q, K and A wrapped in skeleton bony arms, while the latter include a horseshoe, raven, bat, horse and vampire girl. On the other hand, the slot’s special features are triggered by the Wild and Scatter, i.e. the Pumpkin and the Treasure Chest respectively. Players are bound to be just as happy to see the Lanterns, a special symbol appearing during the bonus round. Starting off with the Pumpkin wild, its standard function to replace all regular symbols is maintained in Halloween Jack’s gameplay, along with a x3 multiplier whenever it enters a paying combination. Plus, it triggers the Walking Wild feature whenever it lands on the programmed reels 2, 3, 4 and 5. This gives players a respin and moves any Wild on the reels one cell to the left, with the last respin when all Wilds disappear from the screen. As for the bonus round, players need to land 3 or more Treasure Chest scatters to get the first batch of 10, and another three or more during the feature for an additional 5 freebies. What is more, the Pumpkin isn’t the only Wild that can land during the freebies, as long as players land the Lantern on the 5th reel. These are collected in the Jack’o’Lector progressively – 3 lanterns will award players a double stacked Hell Hound wild, 6 lanterns award 3-cell-high Jack’o’Lantern wilds, and 9 – the expanding Death Reaper wilds. Each of these further features the Walking Wild characteristic of the regular symbol, along with the x3 multiplier capability. While players may need to put in some more spin time into this Halloween Jack™ slot in order to collect all 9 Lanterns for the ultimate payout, learning it gets as high as 600,000 coins will definitely boost enthusiasm. 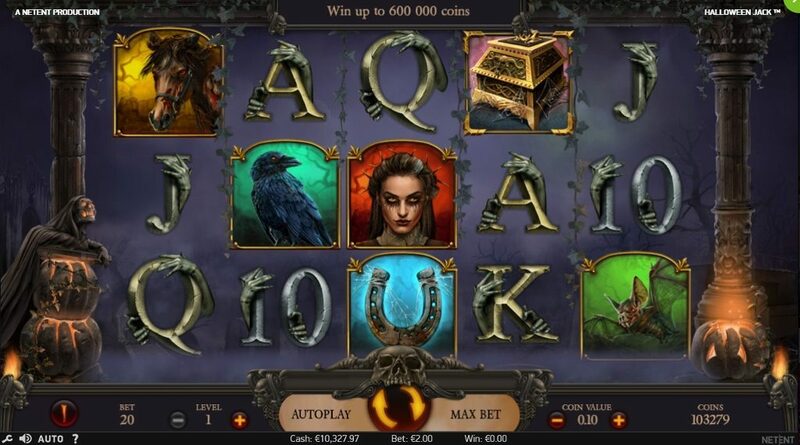 Plus, the slot features 20 fixed paylines and enough regular symbols with the female vampire triggering the highest payout, which will reward players just as soon as they manage to land 3 or more on a winline. All in all, NetEnt have extended their holiday greetings and provided their faithful players with a whole new experience for this autumn season. Many may claim that it is actually a sequel of the well-known Jack and the Beanstalk slot from the same software company that players have grown fond of, but this slot’s level of spooky is bound to raise your hairs even higher. And with the features that the team of developers have put into its gameplay, it will most likely raise players’ payouts even higher. 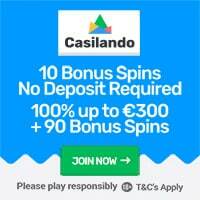 Featured: 50 no deposit casino spins at Casino Room! Footage of Halloween Jack™ video slot!